Wheatstone bridge, standard slide wire form. A resistance wire 1 m long is mounted on a scale graduated in mm and provided with a sliding knife edge contact. 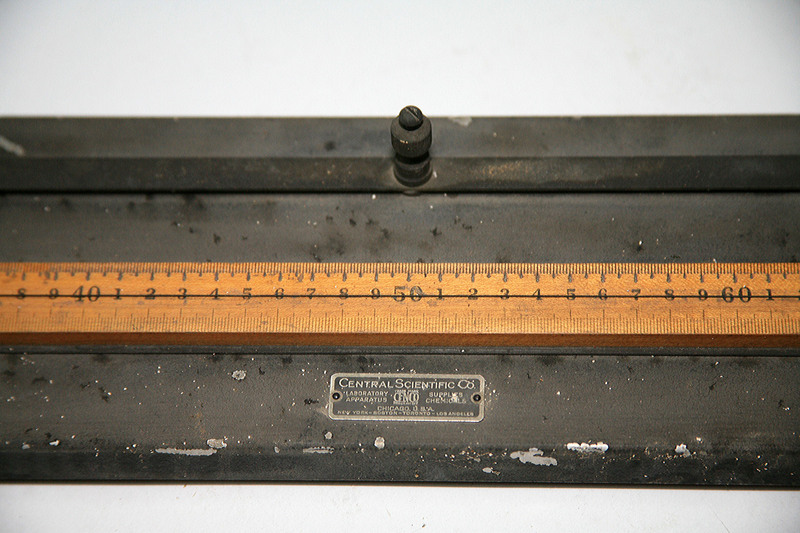 There are the necessary binding posts for the galvanometer and the dc source. Manufacturer: CENCO, unknown model number. Similar model :Νο 83190.